A Hollywood press movie screening is like a box of chocolates, you never know what your going to get. In this case you are getting a guy’s review of a chick flick and that is just the beginning. While waiting for the movie to start guess who sits next to me? None other than @MarioLopezExtra. I explained to Mario that I was supposed to be seeing this movie with my wife however she was held up on set and it was now up to me to watch this movie and write a review. Mario expressed his sympathy for me, since he too had to watch the same chick flick, well at least I have some company now. Even before the movie started the drama began (wait isn’t this a comedy?) with someone down near the front being thrown out by security! As well as a myriad of strange projection problems apparently the popcorn isn’t the only thing theaters can’t get right nowadays (thanks AMC). So what’s this movie about anyway? 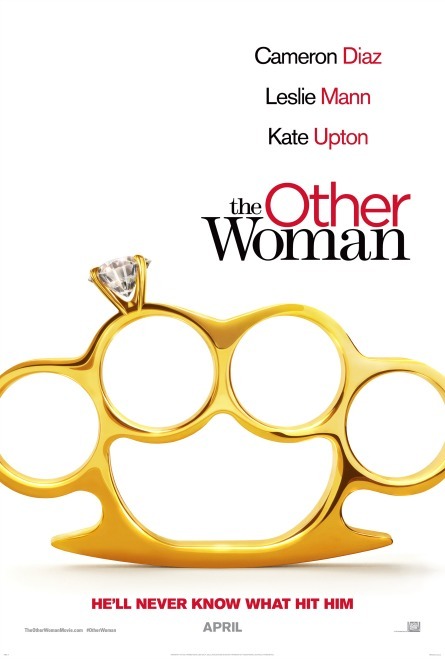 Directed by Nick Cassavetes, THE OTHER WOMAN summed-up in a nutshell – After discovering her boyfriend is married, Carly soon meets the wife he’s been cheating on. And when yet another affair is discovered, all three women team up to plot mutual revenge on the three-timing SOB. Sounds interesting right? let’s get into character shall we! In present day New York City we meet Mark King played by Nikolaj Coster-Waldau (is that the king slayer? YES) this character is the kind of guy who drives a $300,000.00 Aston Martin (don’t scratch that paint!) and has an eye for the ladies, oh yeah and he is married too. Carly Whitten played by Cameron Diaz is a successful professional woman spending her days hard at work in her office and her nights hard at work on Mark King. At this point Carly does not know that Mark is married. Carly really likes Mark and of course she wants him to meet her dad Frank played buy Don Johnson. However, a previous “engagement” Mark has (with his wife) that evening made meeting Frank quite impossible. Now there is no way Mark can tell Carly the real reason why he can not meet Frank, so Mark claims there was a huge plumbing problem at his house in Connecticut that needs his immediate attention. Since Carly wants to help Mark “in her own way” she decides to show up at his house (never having been there before) in the middle of the night dressed as a “plumber” and guess who answers the door? I’ll give you a hint it’s not Mark and it’s not the “house keeper” either! Behind the door Carly meets Kate King played by Leslie Mann. Kate is Mark’s loving yet clueless (in so many ways) wife who spends more time with the family dog than with her husband. Well as the clues start blatantly mount up right in front of Kate in the form of Carly, Kate then finally begins to realize what is going on, Mark is cheating on her! Pictured: Cameron Diaz plays “Carly”. Kate proceeds to “stalk” Carly first at work and later at Carly’s house. Feeling bad for Kate, Carly eventually lets Kate in proclaiming innocents her self saying she did not know Mark was married. The girls eventually bonded over Tequila and vodka, naturally. Pictured (l-r): Lesile Mann and Cameron Diaz bond. Kate feels betrayed by Mark and wants revenge, but wants Carly’s help. Not until Kate finds out that Mark has a second girl friend Amber played by Kate Upton, that Carly agrees to help Kate. Pictured: Kate Upton as “Amber”. So if two girls friend weren’t bad enough a third must be the extent of Mark’s mistress mischief right? Wrong! it get even weirder, more bizarrely diabolical and then the revenge part actually starts. THE OTHER WOMAN is like a modern day 9 to 5 (Dolly Parton movie) on overtime. Yes it’s true this is most definitely a chick flick with strong over tones of insane farce, Much of the story line straddles the borderline of what some women may have experienced in “the dating world” coupled with outlandish situations that could not possibly occur in real life to anyone. To say this movie shines a dim light on men is putting it mildly since most of the “wrong doing” is quite impossible, as a man I can say with the utmost authority that it is difficult enough keeping one women happy let alone two, never mind three and four well now we’re talking about an Olympic event level of effort. That being said there are some very funny scenes and the cast did well with the physical comedy. So I would recommend that guys should definitely go with their ladies to see this movie and remember to reiterate the fact that this is not real it’s only a movie and the vast majority of men don’t act like this. GOOD LUCK EVERYONE! Pictured: Nicki Minaj adds a splash of color as Carly’s secretary. “The Other Woman” opens in theaters Friday, April 25, 2014.